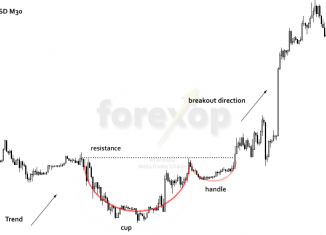 Home Tags Posts tagged with "Cup and Handle"
The cup and handle is a consolidation pattern. It signals a brief pause in the trend. This pattern is likely to appear when the market is in an indecisive phase as a rally pauses and consolidates. 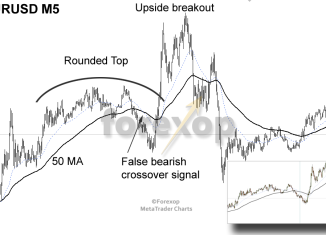 This system is for trading fake (false) chart tops & bottoms. I call this a contrarian strategy because the trade entry opposes most technical indicators. I’ve used this day trading strategy to produce profitable short-term trades on GBPUSD, EURJPY, AUDJPY, and EURUSD.